Dubai: Buoyed by 10 new flights in the highly valued Indian market, flydubai CEO Ghaith Al Ghaith said the India question was slowly, but steadily, being answered. Flydubai currently has a capacity of six points in India — the new stops being New Delhi, Kochi and Thiruvananthapuram — with a total of 19 frequencies. This translates into a total allotment of 5,140 seats, in 1,400 flights, of which they are using 3.441 and must complete the quota by 2015. Prior to these new stops flydubai was operating from the cities of Lucknow, Ahmedabad and Hyderabad. Al Ghaith is hopeful that this business will grow, given that in 2013 India became Dubai’s top trading partner thanks to a $37 billion volume. The UAE is also India’s top export destination, accounting for more than 10 percent of its tangible exports. “The new stopovers are significant,” said Al Ghaith in an interview to Gulf News. “We have waited at least five years to secure these new points. I hope we will not have to wait that long to get extra capacity. He said that bilateral trade and social relationship between these two countries is by far the biggest in terms of volume and importance. Mindful that changing governments sometimes impact the aviation sector and people-to-people contact, Al Ghaith stated that the new stops come at a significant moment when a new government in India, under the stewardship of Narendra Modi, takes charge. Al Ghaith said he believes the governments must step out of regulating the travel business. Al Ghaith’s India strategy is not just to serve the principal airports that dot the country but, more importantly, cater to the secondary ones. He refuses to come up with a magic number because, “That’s up to the governments. Our job is only to encourage and get more. What we have currently, 5,140 seats, is little given the scope and potential before us. 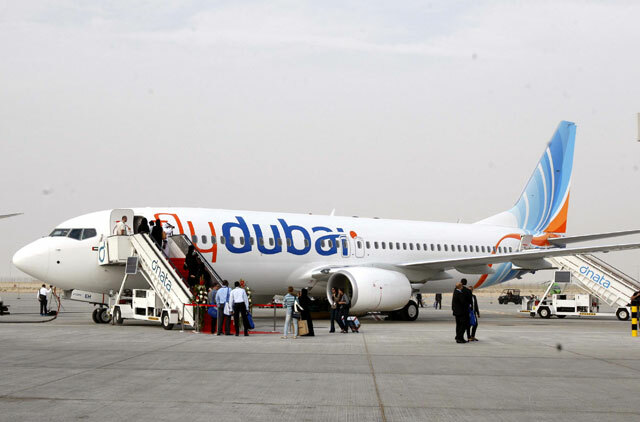 With flydubai completing five years of service, starting at a time when the global airline industry was in turmoil and going on to buck the trend by becoming a profit making venture, Al Ghaiths immediate focus is on the next years which dovetail into the UAE hosting the world Expo in 2020.